Published on April 2, 2012 in Carnival, Extempo, News and Passed on. 2 Comments Tags: Extempo, Sheldon John, Winston Peters. Six-time National Extempo Monarch Sheldon John succumbed to kidney failure around 5.30 p.m. on Sunday at the Mount Hope Medical Sciences Complex. 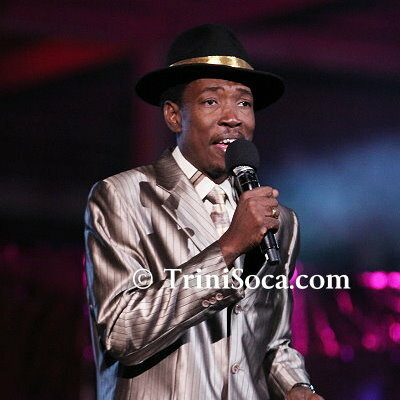 Sheldon John, former Extempo Monarch of Trinidad and Tobago, died at approximately 5.30 p.m. on April 1st 2012, at Mt. Hope Hospital from kidney failure. The Honourable Winston Peters, Minister of Arts and Multiculturalism issued the following statement on the passing of Sheldon John. I was deeply saddened upon learning of the untimely passing of Sheldon John, former Extempo Monarch, and friend. Sheldon was a true champion of our local arts and culture, who made a consistent and genuine contribution to national life without drawing undue attention to himself. Not only was he an excellent exponent of the art of extempore singing, he also played bass steel pans in the Exodus Steel Orchestra and for several years shared duties as Master of Ceremonies at Kaiso House Calypso Tent. I, along with many others, recall that Sheldon showed great promise as he rose through the ranks of the then popular Vat19 Anyhowers Extempo Competition where he cut his proverbial teeth in the art of spontaneous composition. These experiences helped to prepare him for lyrical battle with the ‘big guns’ at the national finals at the Queen’s Park Savannah. Clearly, he took those lessons to heart as he went on to win the coveted National Extempo Monarch competition on no fewer than five occasions over the past ten years! Although we competed against each other countless times, Sheldon always remained a friendly rival both on and off stage. We shared a camaraderie that demonstrated to me that he respected the teachings of the elders with whom he interacted. On behalf of the Ministry of the Arts and Multiculturalism, I wish to extend sincere sympathies to the family and relatives of Sheldon John. We have lost a beloved friend and artist. I will always keep Sheldon in my thoughts and prayers. WIN News understands he was admitted at the Mount Hope Medical Sciences Complex on Carnival Saturday night and passed away, at about 5:30 pm yesterday, as a result of kidney failure. 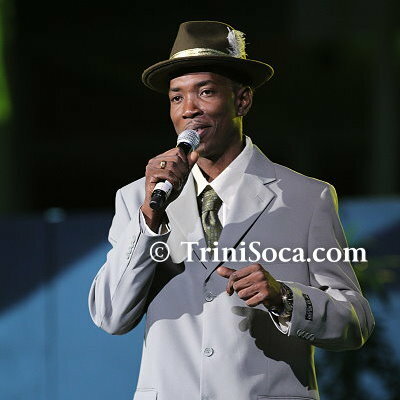 He sang his way to the 2011 Extempo King title at the Trinbago Unified Calypsonians Organisation “Kaisorama – “A night of Champions” competition at the Queen’s Park Savannah, defeating Phillip “Black Sage” Murray. sorry i know i am late to here extempo had die only because i did not flollow the may his sold rest in pease he was a very good calipso intataner i live in montreal canada.